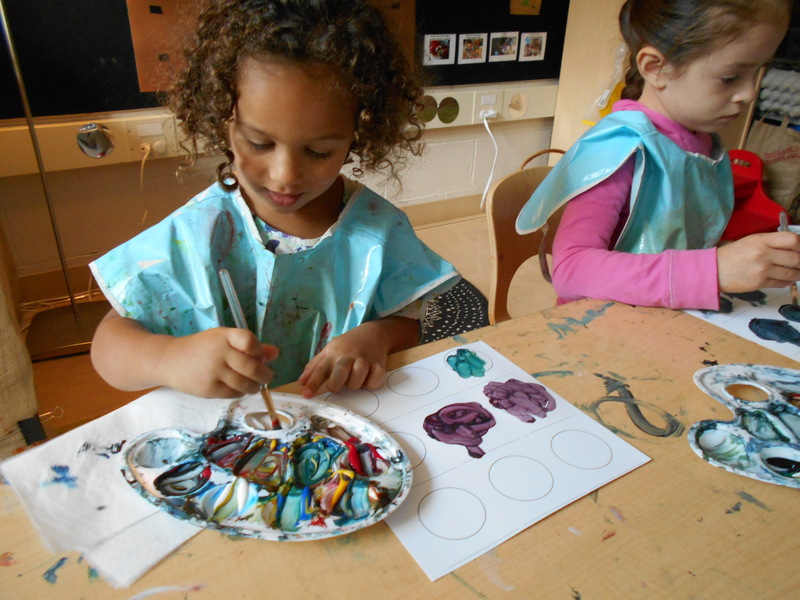 purple | Pre-K Art Stars! 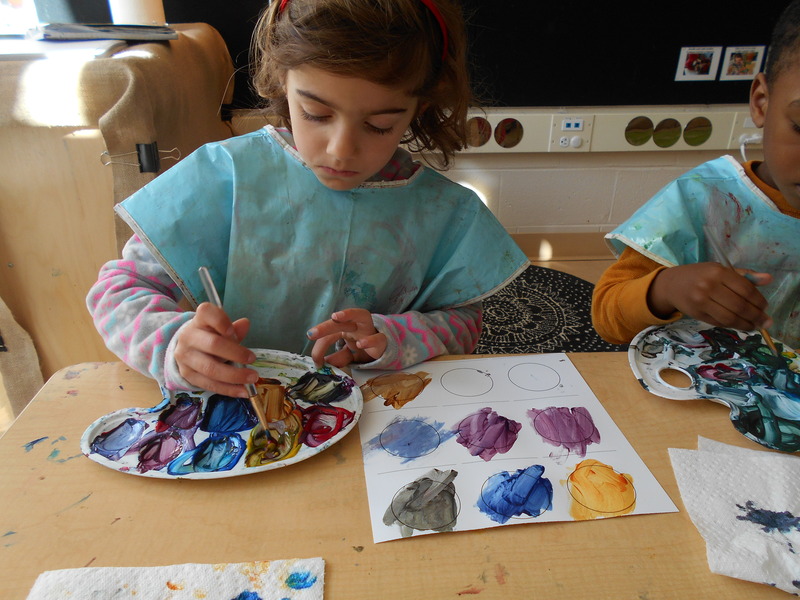 Last week, we began art groups by reading Green by Laura Vaccaro Seeger and talking about how there can be many different shades of a color. 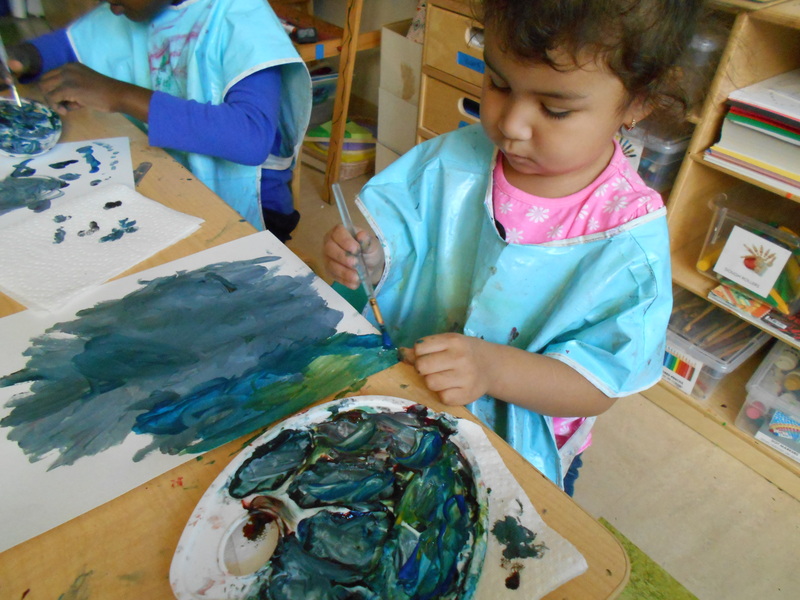 In the book, we discovered that there can be glow green, pea green, forrest green and fern green. Even though they were all technically green, they all appeared very different and reminded us of different things! Next, we played a game in which we picked colored cards and tried to name as many objects that reminded us of the selected color. We made a long list that will be helpful for children to refer to when naming the colors for their final product. Red: Stop sign red, barn red, tomato red, ketchup red, strawberry red. Orange: Pumpkin orange, bright orange, Nemo orange, peach orange. Yellow: Fall leaf yellow, sunny yellow, sunflower yellow, omelette yellow. Pink: Berry pink, cotton candy pink, bubblegum pink, hair bow pink. Green: Avocado green, alien green, caterpillar green, grass green. Blue: Sky blue, smock blue, blue jay blue, Superman blue, blueberry blue. Purple: Plum purple, eggplant purple, pepper purple, yogurt purple. Naomi: I’ll call this one chocolate. And this one is slippery green. Greyson: This is snail green. Kai: Let’s mix it and see what happens! Claire: This color is like hot pepper red. Luke: It’s so hard to mix my favorite color but it’s still fun. It’s just a lot of work. Jax: Dark like night time. Whoa… dark like Batman. Nice! William: It’s so exhausting to name colors… I need a snack, now! Mae: This color is called banana, this color is banana peel and this color is dried banana. Miguel: You know when you get yogurt from Trader Joe’s and you pour the blueberries into the vanilla yogurt and you swirl it around? Yeah… this color looks just like that! 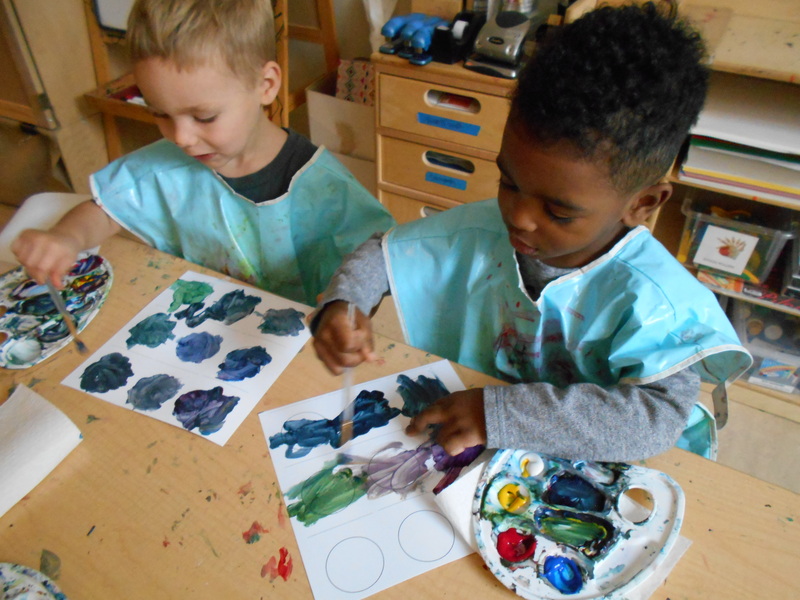 Over the past three weeks, all children in Pre-K have been busy in the Studio working on mixing their own, unique colors with paint! 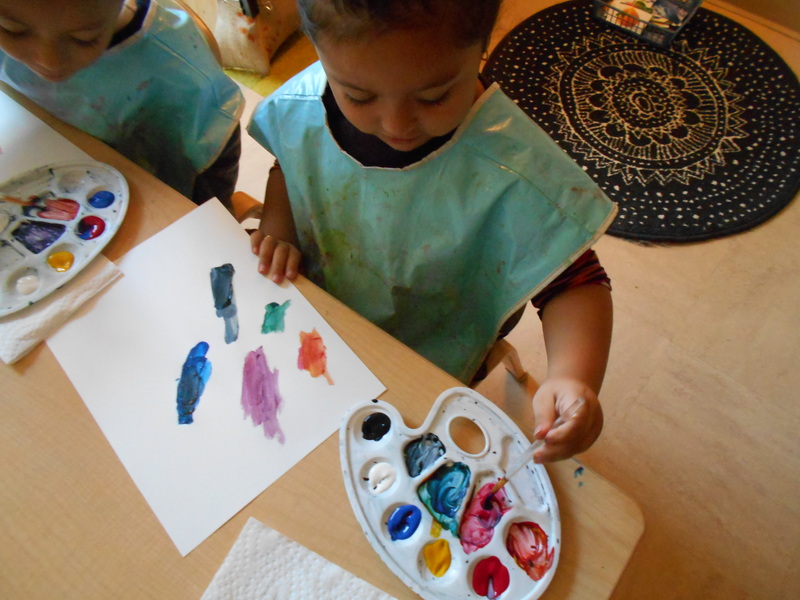 Friends are discovering that when you mix paint, it creates a new color that’s one of a kind and special. 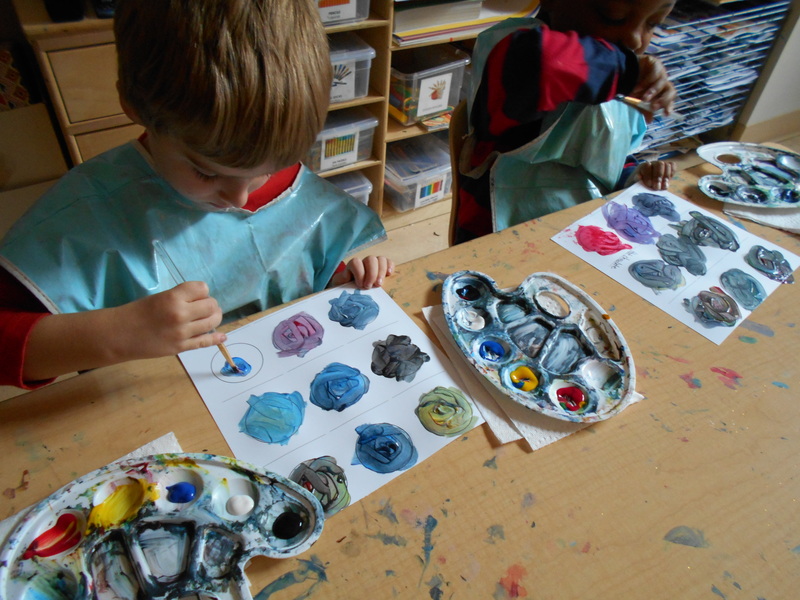 We have been building rich, descriptive vocabulary as we broaden our knowledge and understanding of color. 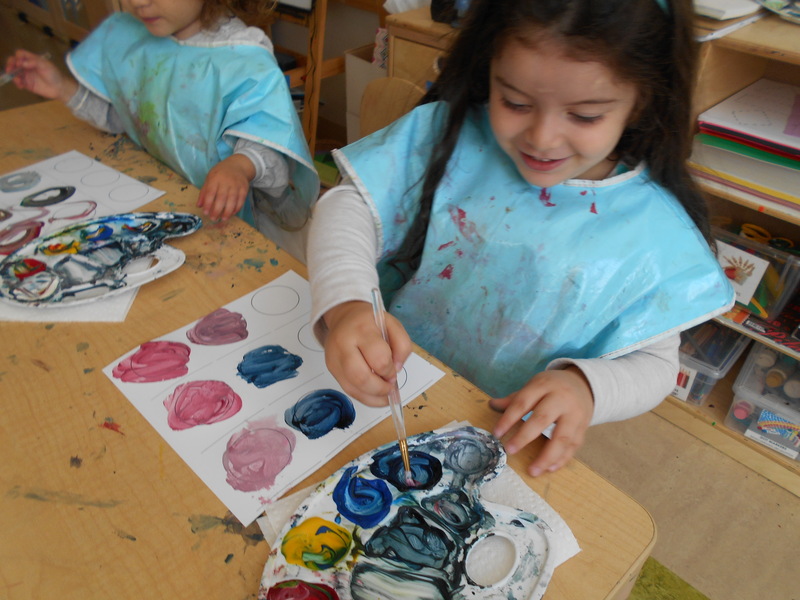 The first week was all about painting with primary colors, which are red, yellow and blue. 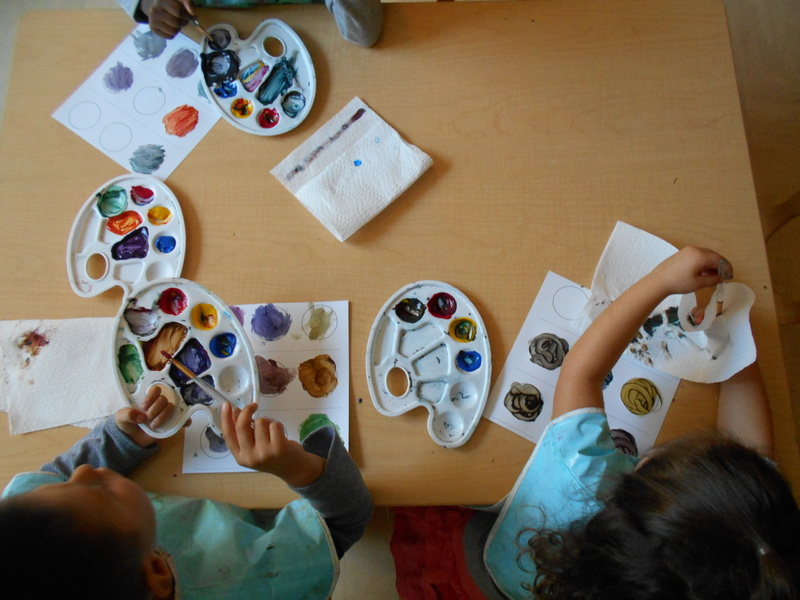 Friends were introduced to a palette, which is a tool that artists use when mixing colors because it has many segments that keep colors separated. 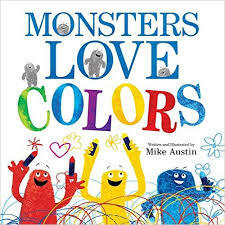 Next, we read the book Monsters Love Colors by Mike Austin and worked on mixing colors that the monsters in the book would love! Autumn: Where are the monsters? I want to show them my painting! They will like it. Jariel: I made another brown that looks like dirty mud. Siah: I made green again, but now it’s dark green because I put more blue. 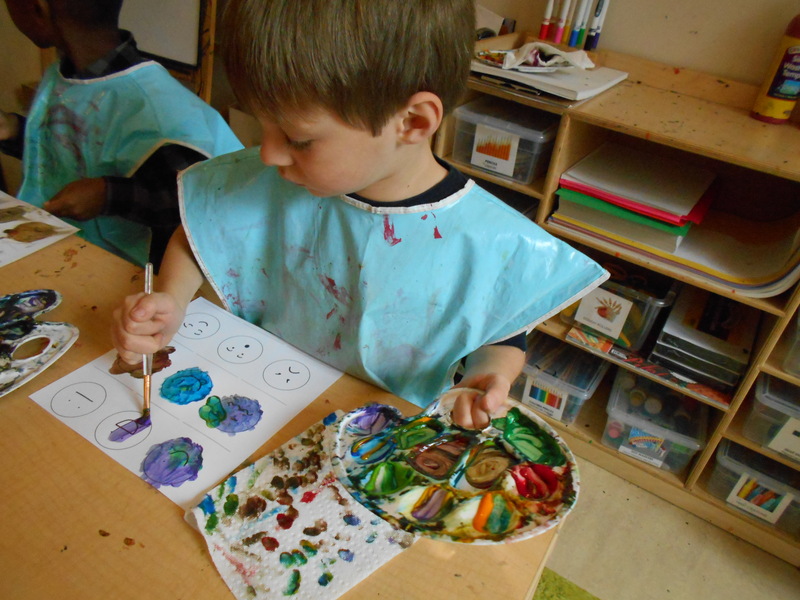 Cory: I used a lot of colors. I love them all. The yellow looks like honey mustard, red looks like sour soda and blue looks like water. Zavier: Red is the color of lava. Green is the color of a leaf. 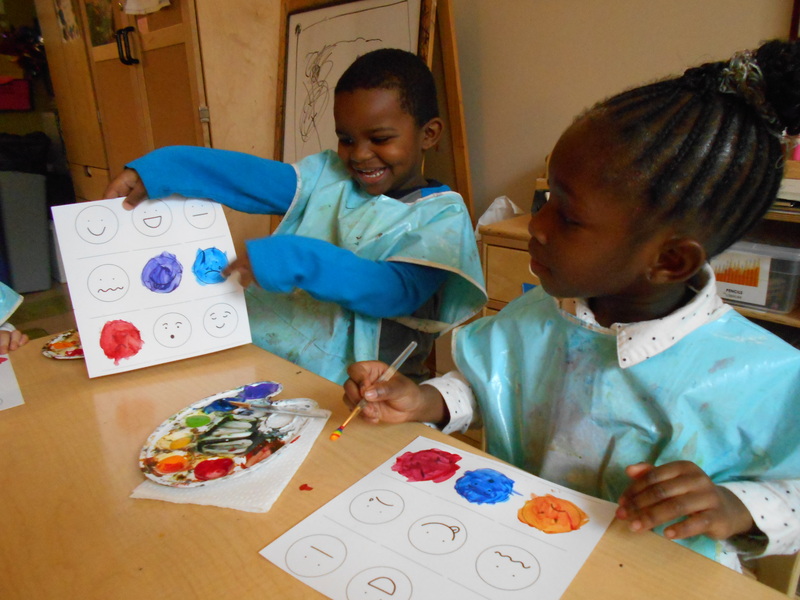 We’re so good at mixing paint, we should be on a commercial! 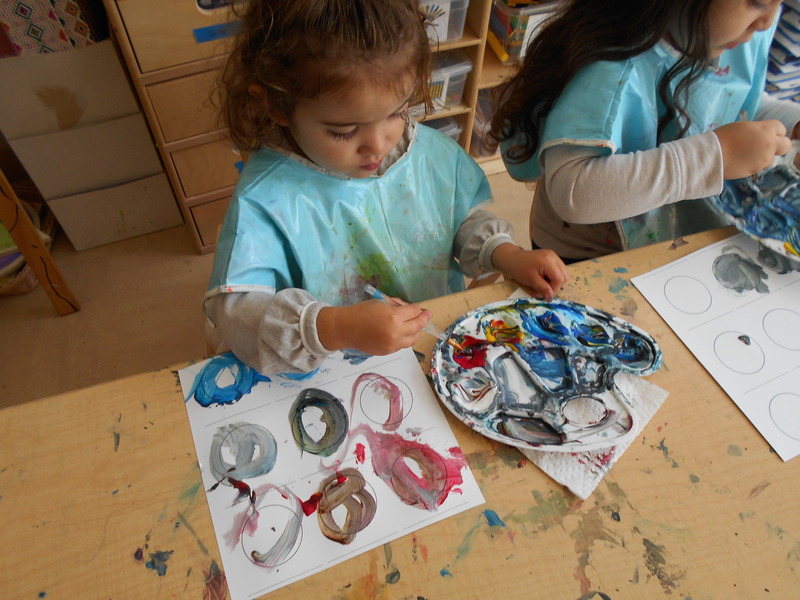 Maia: These colors are so cool because I made them myself. I’m such an artist because I hold my palette. Siena: I made three turquoises but they are all different. Will the monsters like them? Sophie: Three greens that kind of look the same, but mostly different. You have to look very closely. Iris: I’m still working on making purple so it’s my favorite kind of purple and not just regular purple. Andres: I have an idea, if you want green, just mix it yourself! 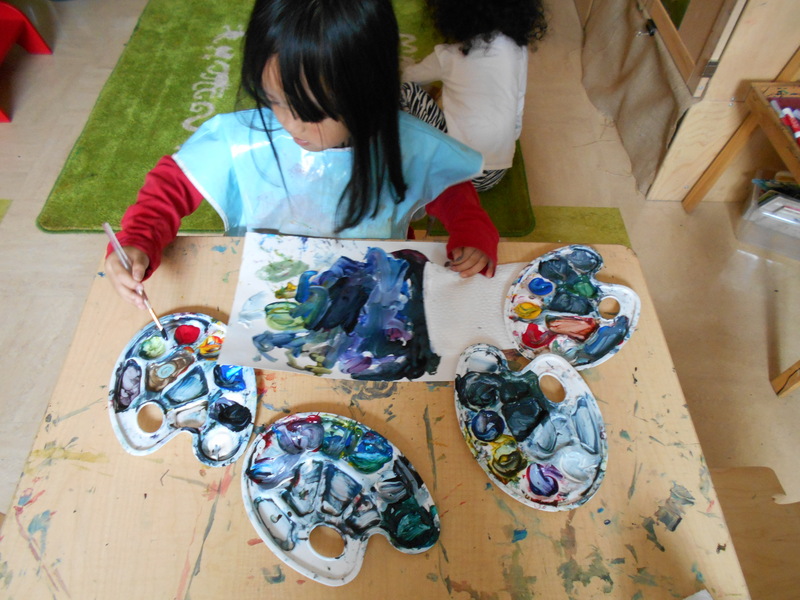 The following week, children were excited to see that white and black paint were added to their palettes and were eager to begin mixing! 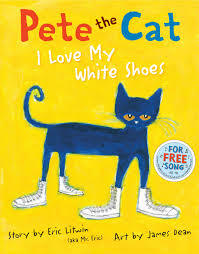 We read the book Pete the Cat: I Love My White Shoes by Eric Litwin and enjoyed singing Pete’s song about the different colors he stepped in. 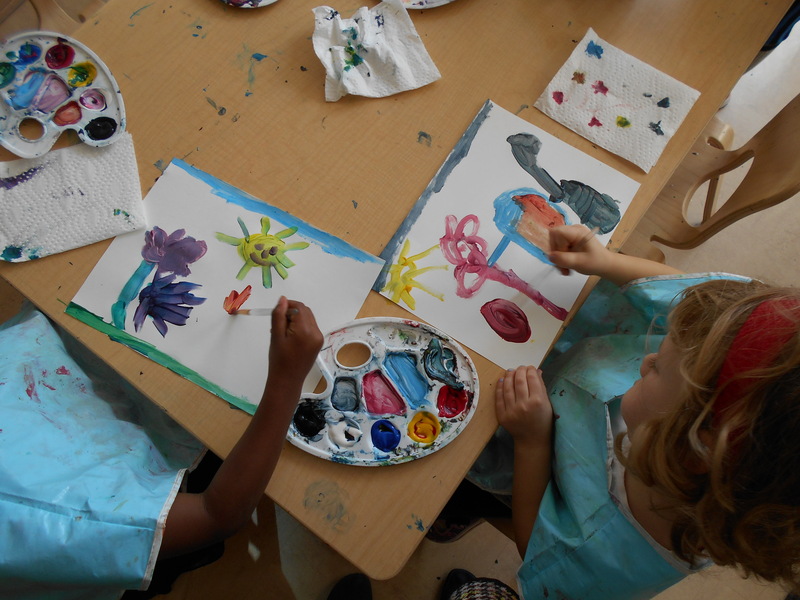 After the story, friends continued to mix colors and created tints and shades with the black and white paint. Carlos: I’m going to make a pile of blueberries like what Pete stepped in in the book! 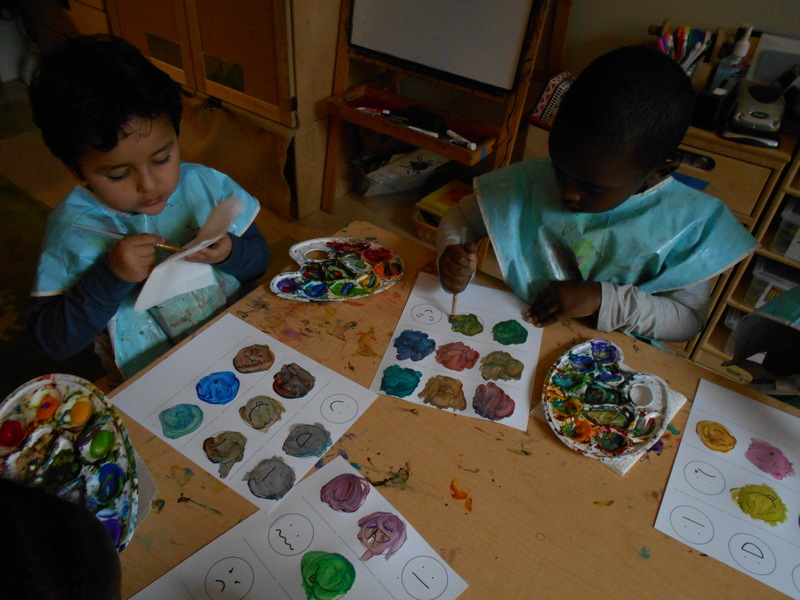 Adrian: I didn’t know I could make so many different purples. The white changed the purple to light purple and the black changed the purple to dark purple. And when I put more red, it made red purple. And when I put more blue, it made blue purple. 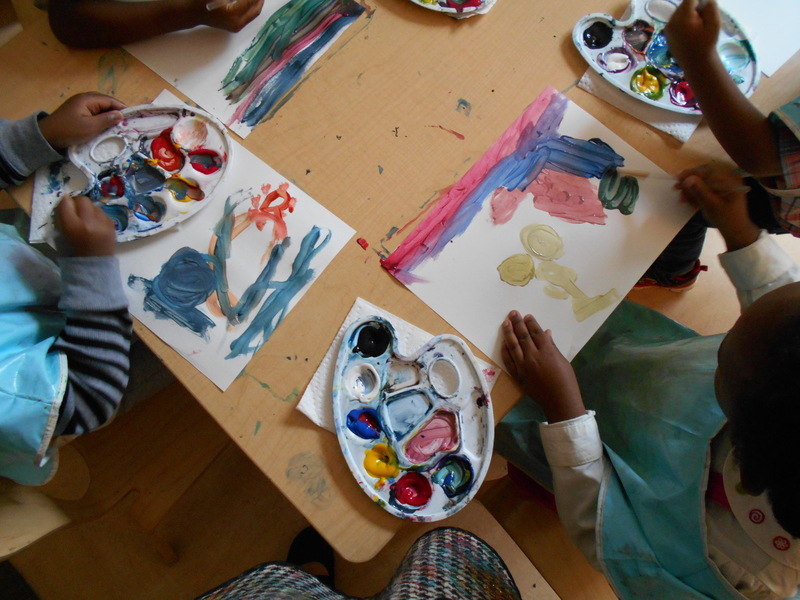 Nneka: Every color you make is different than someone else’s! Claire: Christian, well done, the first color you mixed was turquoise! Florentina: Holding the palette is very hard. Just like being an artist, you have to practice and you’ll get better. 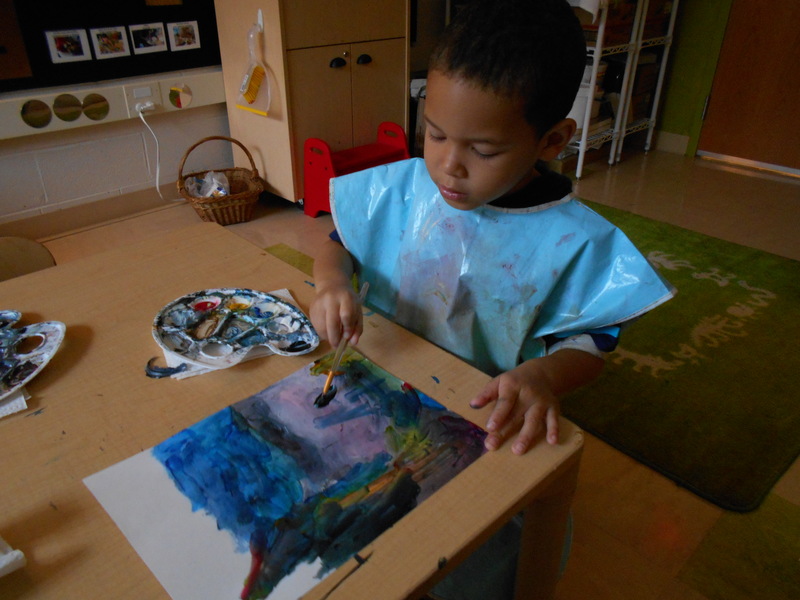 Elijah: The white paint teleported into the black paint to make grey paint. 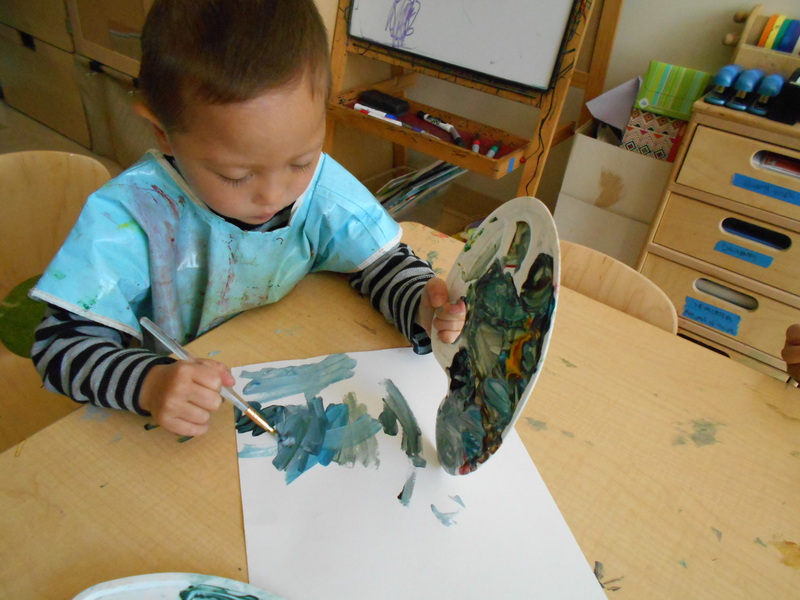 Marquis: All the colors together make mud puddle brown. 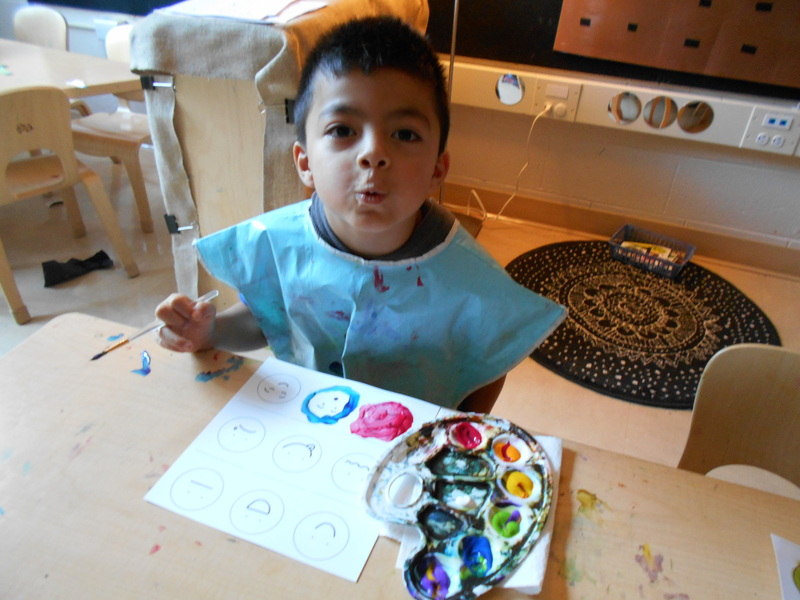 Zavier: I’m making a magic trick with paint. I’m changing pink to purple. Claire: The color I mixed is stunning. That means really, really pretty. Zoe: I made indigo and violet. Violet is a beautiful type of purple. On to week three! 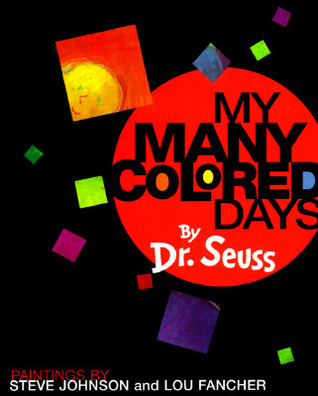 We began by reading My Many Colored Days by Dr.Seuss and learned that different colors can make us feel different ways, as well as evoke emotions and feelings. 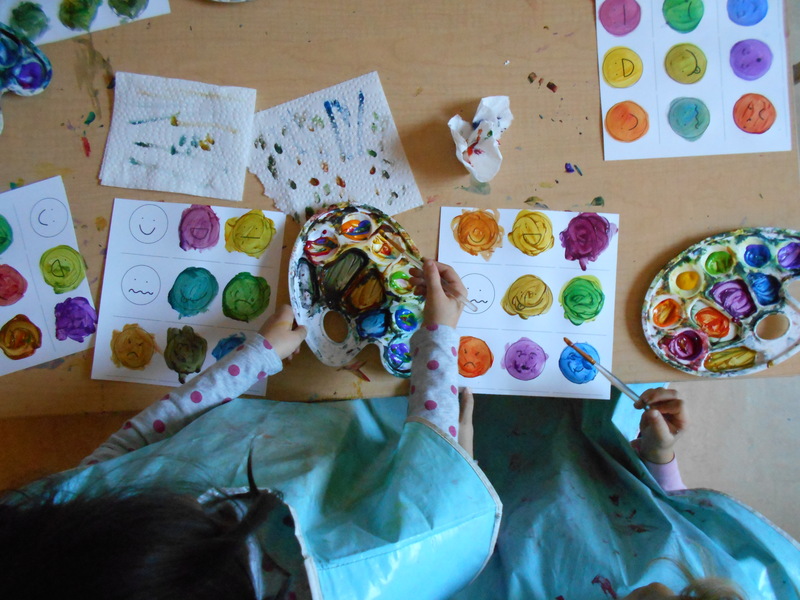 In each circle on their paper, there was a different expression drawn in to support friends in thinking about how color is connected to the way we feel. 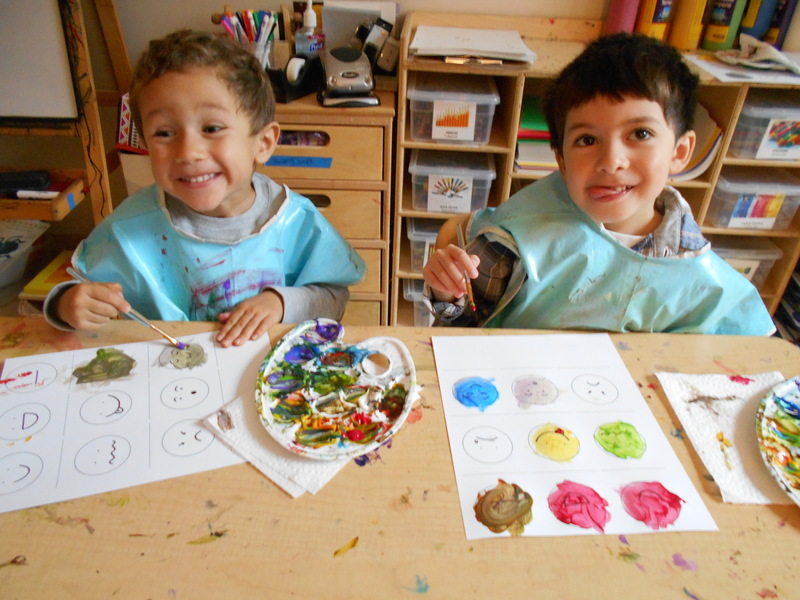 Children had so much fun acting out different expressions and mixing unique colors, as I added orange, green and purple to their palettes. 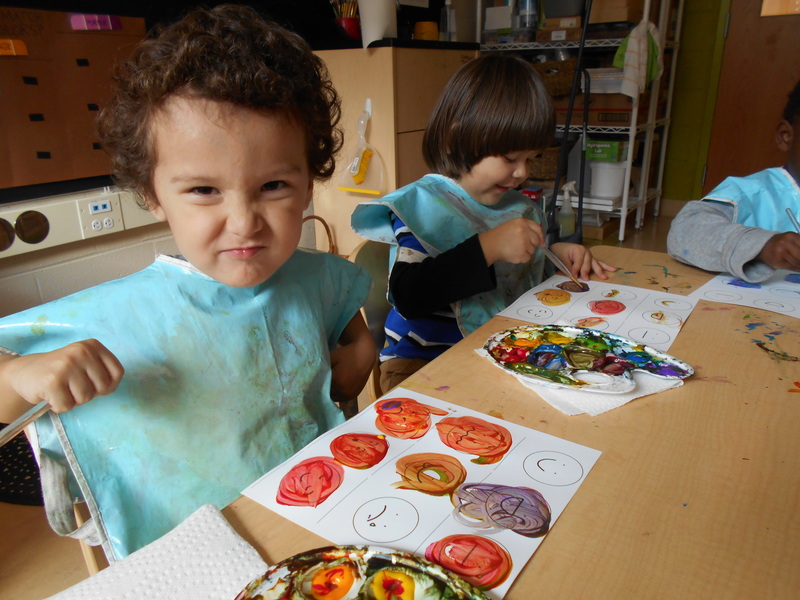 Friends enjoyed making angry, surprised, happy and silly faces with their friends. Also, Ra’Maya noticed that the faces on her shirt were similar to the faces on her paper! Adrian: Remember the Sophie book? Her face turned red when she was mad so I’ll use red and orange for the mad face. Miguel: That face looks sleepy, but like they’re having a good dream. I’ll make it peaceful purple. When I think of nervous, I can use all the colors and paint it kind of gently so it’s like a rainbow. William: My mad face looks like it has fire on it. Mae: Did you have a feeling that we would like the feeling papers? I don’t like the faces the most, I like the circles because they are my favorite shape! Jariel: Dark yellow makes me feel angry! Greyson: How does that face feel? It looks like he has a snake for the mouth. Friends will be continuing this Color Study project all the way up until our December 15th Showcase. We will have lots of work to share with families and friends at the event!